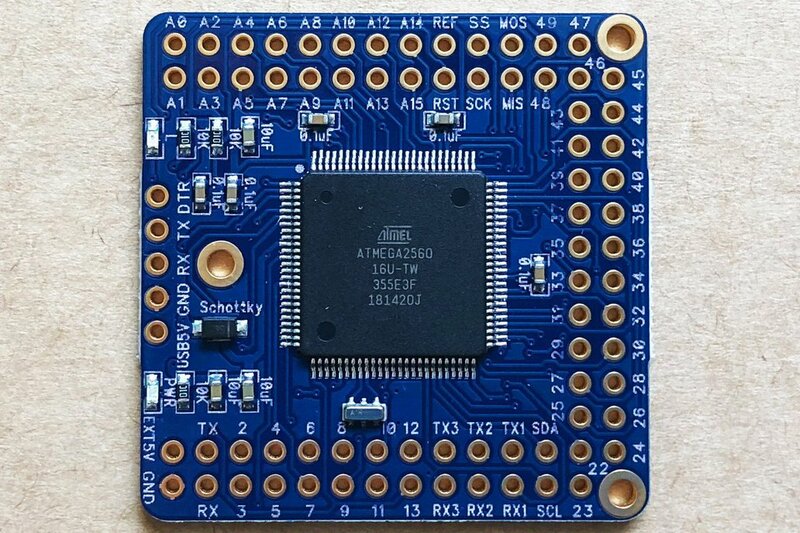 Naked Mega is an Arduino Mega 2560 compatible board based on the ATmega2560-16AU microcontroller, build with minimalist design and form factor; build process documented on Instructables. Requires external USB to TTL serial converter to upload Sketches; this board was tested with this module and works very well. To use the onboard AREF/REF pin, a 0.1uF capacitor must be connected between the REF pin and GND. Must be powered by 5V DC regulated voltage. 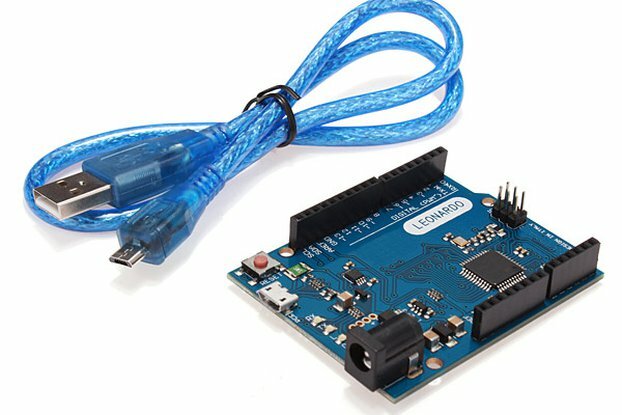 CP2102 USB 2.0 to TTL Serial Converter module for programing Arduino boards without onboard USB (such as Arduino Pro/Pro Mini). Headers in direct match with Naked Mega. Download CP2102 drivers from Silicon Labs here. 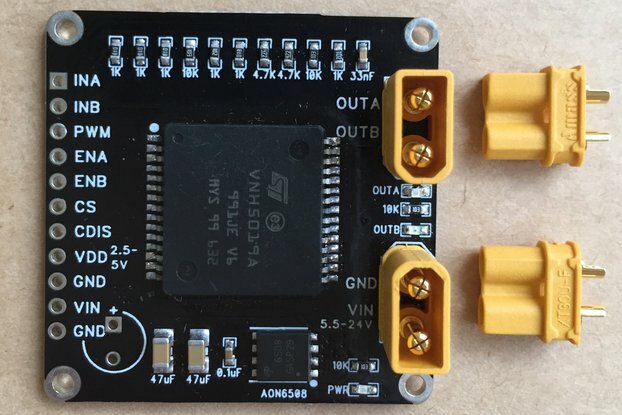 On-chip 3.3V DC voltage regulator. 512 bytes receiver and transmit buffer. Supports Windows 98SE, 2000, XP, Vista, Windows7, Mac OS 9/OSX, Linux 2.40. Hardware or X-On/X-Off handshaking support. 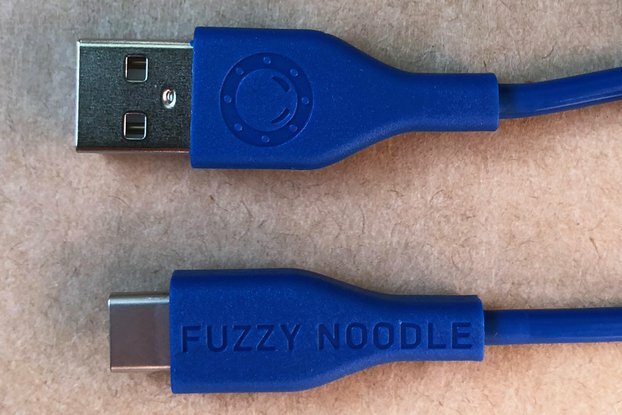 Package includes 20cm 5-P cable. The part itself is very nice and solves alot of issues like weight and size from the original arduino mega. The shipping is very fast and smooth, it arrived within 4 days. Finally and most importantly, the seller is a very nice and helpful guy, he helped me through the transaction even when he was on vacation. The product is awesome! We used it for our Thesis. The shipping is fast; it got delivered after less than a week, and I'm from the Philippines. It's a really good board , small and powerfull. a lot of pins available in a small space. Fast shipping and great quality, recomended!! I'm using the Fritzing app to create some of my circuits! It would be very great if you provide a Part for it. I think others will buy your Mega also because they see it in the Partlist. And for me it will be more easy to create a PCB with your Mega on top of it. 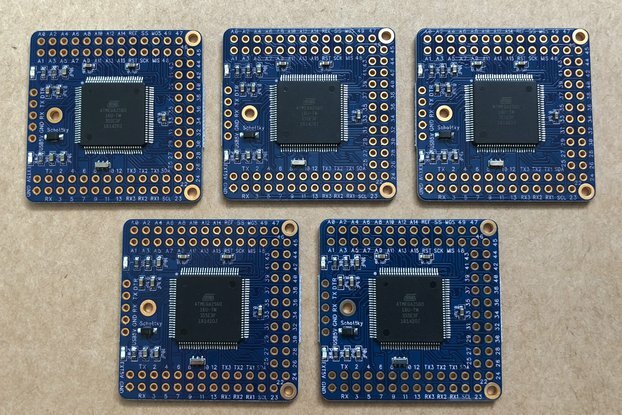 I mounted 4 of them as a Arduino freeRTOS Quad-Core, for educationnel purpose. I suspected an Arduino mega2560 could do way much than usually used. So, the freeRTOS multi-tasking system was the natural way to go. 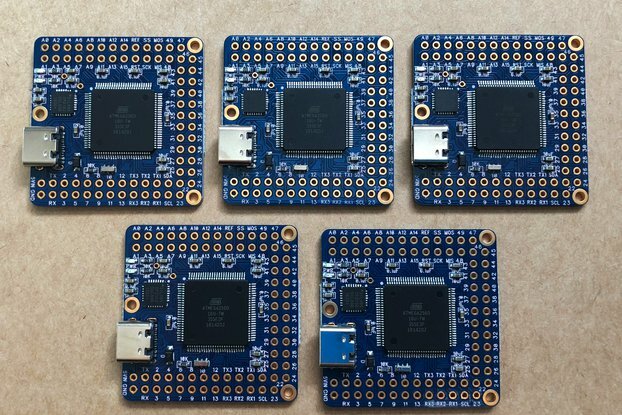 TxRx1-to-3 are use to make applications communicate beetween the cores. The space used is so much shrinked down ! Thanks a lot to have made this tiny board available ! By the way, I am on the wish list ! Easy to program. Due to the neat layout of the pins and small form factor which I like mostly, I am able to keep all tracks to and from the Bare Minimum neat and comprehensive. I have mounted this device as a "CPU" on the motherboard for my home automation system together with a W5100 Mini. Everything works great. I have one more of these which I intend on using as an intelligent alarm system. Thanks for a great product and yes I am certainly going to buy many more of these Bare Minimum Arduino Mega 2560.